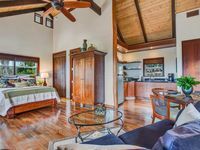 Property 11: Kaloko mountain cabin above Kona with hot tub and fireplace - rustic adventure! Property 16: Charming Kaloko Mountain Cottage with hot tub - private,secluded and cozy!! Property 20: Newly Renovated 3-Bedroom Home - Luxury model home living. Property 24: A Path to Tranquility - Luxuriously appointed Cottage with private backyard. Property 25: "Ocean View" Beautifully Restored Coffee Shack! Property 26: Peaceful country setting at the top of Hohola Drive. Minutes from Waimea Town. 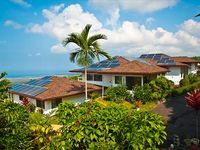 Property 35: Puako Beach... Big Island, Hawaii! Property 46: Spacious Ranch Cottage with private hot tub and VIEW!